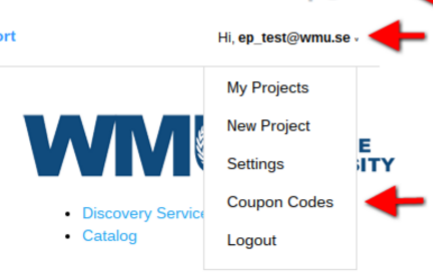 Make sure you are logged in to WMU Google Apps. 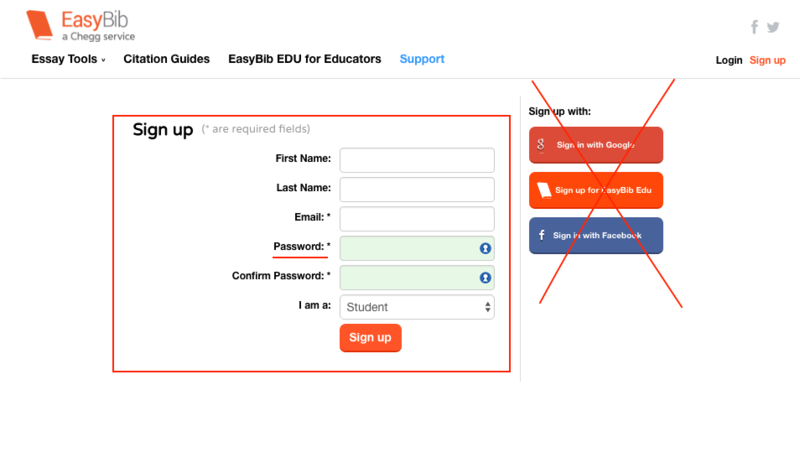 Go to easybib.com & Click on the "Sign Up" link. Use WMU Coupon Code to activate free access. II. Create a new project. III. Direct export from databases. A real time saver, direct export from databases is available with most of library databases, including the Discovery Service! Search for a material on library.wmu.se, go to the detailed view of a record, or simply click on PDF Full-text. You will be able to use Direct Export feature from the Tools menu on your right-hand side. In the example below we limited the search to just ebooks. By default, the citation will be saved to the project you have been working on. You will always be able to change the location of your reference later, and reuse it for different projects. You should not assume that the citation you exported from a database is in the right format. 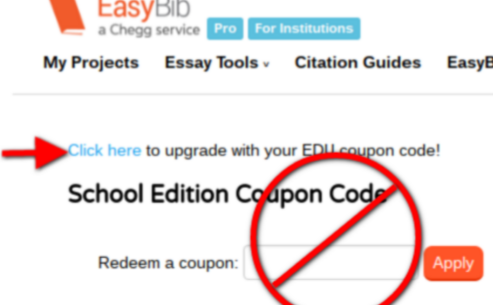 In many cases, Easybib will automatically warn you that there is something wrong with your citation. Did not find what you were looking for? Use "Manual cite" feature below the search box! Find out how below. While citing, always make sure the citation is in the right format - APA. Read rules, including capitalization rules. Find the citation needed in the bibliography you created. Under the citation you will see a link that says "parenthetical", click on it. Feel free to add a page number. IX. Reusing your citations for other projects. You can reuse your citations as many times as you wish. Simply select the Project you have your citation in, tick the box next to the citation that needs modification and select "With checked". There are different options, and one of them is copying into another project. Once you duplicate the citation, you will be able to see it in the list of citations for the current project.